Heat oven to 350°F. Line 2 cookie sheets with silicone baking mats or cooking parchment paper. In large bowl, stir together sugar cookie mix, flour, butter and egg until combined. Add remaining ingredients; stir just until combined. With hands, roll tablespoonfuls of dough into balls; place 2 inches apart on cookie sheets. Bake 10 to 15 minutes or until lightly browned. Remove from oven; cool on cookie sheets 2 minutes. Remove from cookie sheets to cooling racks. These cookies hold up well when dunked in your morning coffee or milk. 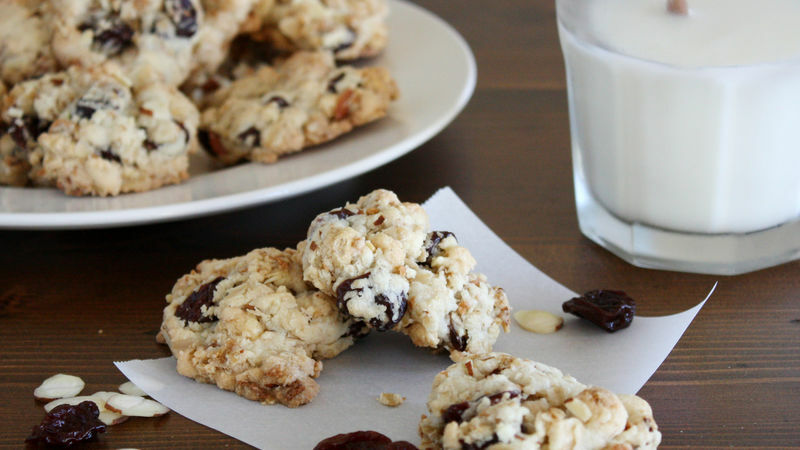 Serve these breakfast cookies as a sweet treat for brunch.